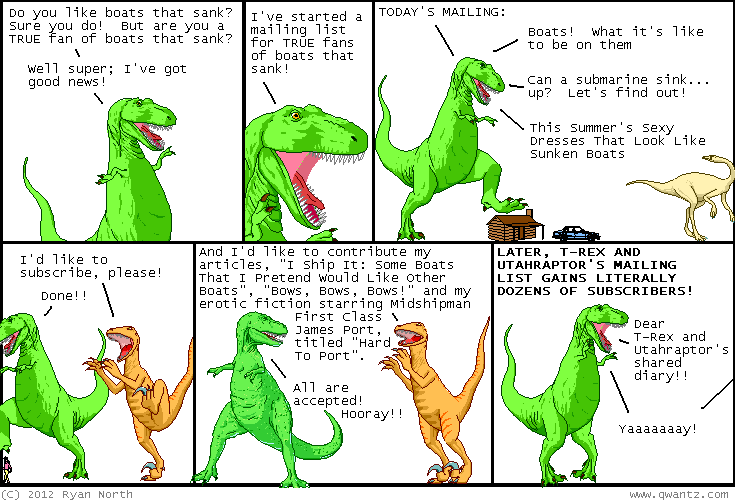 Dinosaur Comics - April 11th, 2012 - awesome fun times! –BECAUSE SOMETIMES I GET LONELY AND THERE'S NO SHAME IN THAT. April 11th, 2012: If anyone wants to write any of these articles please feel free.